Be the first to share your favorite memory, photo or story of Bertha. This memorial page is dedicated for family, friends and future generations to celebrate the life of their loved one. Bertha May Takle, 80 of Webster City, died on Friday, March 29, 2019, at Southfield Wellness Community in Webster City. Visitation will be held on Monday, April 1, 2019 from 5;00-7:00 PM at Boman Funeral Home (www.bomanfh.com). A private family burial will take place at a later date. Bertha was born on April 25, 1938, in Webster City, to Earl and Viola (McCauley) Roberts. She married Charles Takle on June 7, 1961in Omaha, NE. Bertha was a member of the Asbury United Methodist Church and Order of the Eastern Star. She was also a member and enjoyed activities with the Red Hat Society. Bertha’s family includes her two sons: Duke (RaNae) of Ankeny, Iowa, and Dan (Stacey) of Hudson, IA; grandchildren: Emily, Charles, Miranda, and Rachel; brother Rodger (Shar) Roberts of Laurel, Iowa; several nieces and nephews, including Deb Adams & Tammy Lockwood. 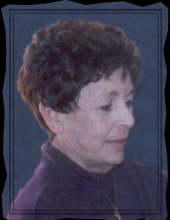 She was preceded in death by her husband in 2006; son David in 2011 and three brothers: Ron, Frank and Vic. To send flowers or a remembrance gift to the family of Bertha M Takle, please visit our Tribute Store. "Email Address" would like to share the life celebration of Bertha M Takle. Click on the "link" to go to share a favorite memory or leave a condolence message for the family.